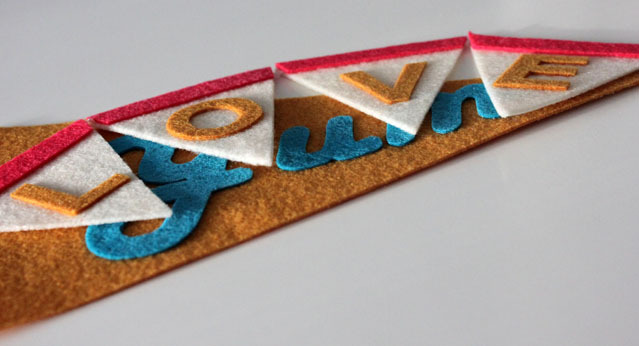 I have been practicing my felt-cutting skills intermittently over the past few months. It all started with my niece’s party, a couple of co-worker gifts, and a birthday present for my sister. 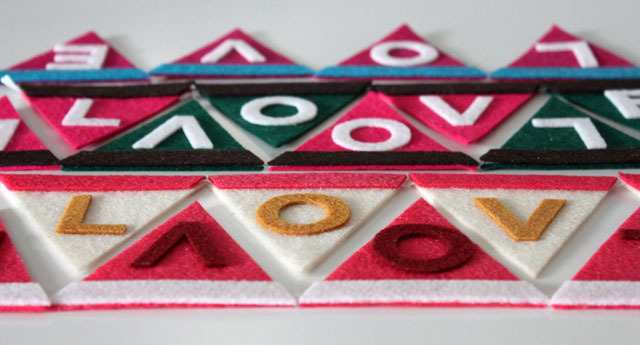 I just kept cutting out pennants and letters and putting them together (giddy over the idea of a felt swatch collection), and now I have a stack that need homes. So, as a simple sign of gratitude for clicking over to my blog, mail me your postal address at cozywalls@gmail.com (or however it is we normally communicate) and let me know which ones you would like to have for yourself or to give to others. 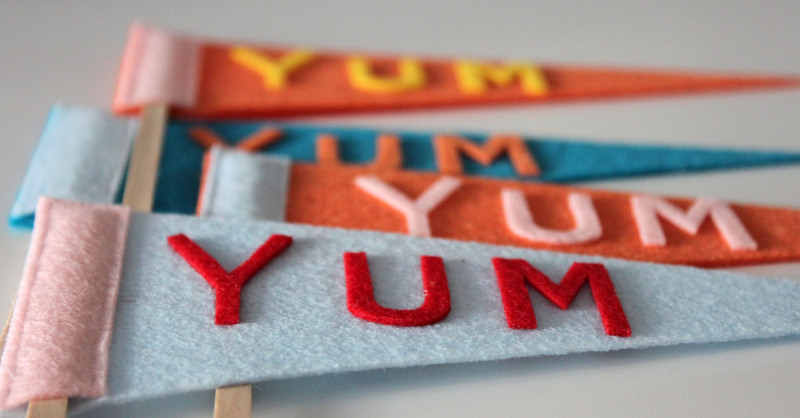 I know that each one will find the perfect place to proclaim YUM or remind LOVE. Me,Me!!! These are fantastic. I think you should take a picture with one sticking out of one of your creative recipe’s. I’m pretty certain you have my address. love it. covering things in velvet may very well become my latest obsession. So wonderfully perfecto! Always a pleasure to read your blog! 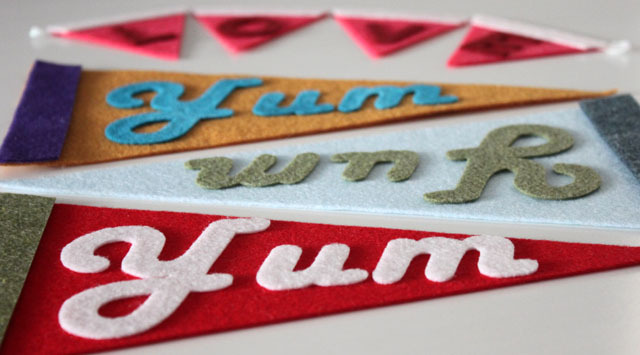 Got MY new pennants in the mail today. They are so awesome. I am trying out different places in my house for the perfect display. Thanks! You rock! you are most welcome – I am so glad you like them! !